When I ask engineers when they were last creative, many struggle to answer. This is interesting because the Engineering Council in the UK explicitly writes creativity into the job description of engineers in its UKSPEC document[i]. Engineering should by rights involve creativity, – having original ideas that have value, and involve innovation, – the realisation of those ideas. Looked at another way, problem solving usually involves stages of divergent thinking, followed by stages of convergent thinking. Divergent thinking involves intuition, for example considering a range of different solution paths and options. Convergent thinking involves logic, for example considering what needs doing, and in what order. Engineers are very good at logic because it is hard-wired into our education. We are less practiced at intuitive or divergent thinking, and this tends to stifle our creativity. So, let’s return to the matter of our working environment. There is plenty of evidence showing that intuitive thought processes and flashes of inspiration occur when people are relaxed, having fun, or doing something not connected with the task. Companies who introduce facilities such as hammocks, football tables and slides recognise this fact. 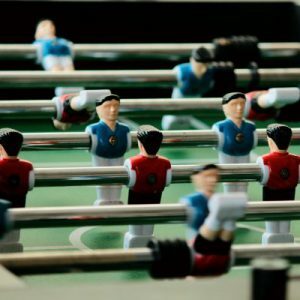 However, installing a football table does not necessarily lead to a creative culture in your organisation, because organisational culture, like beauty, is more than skin-deep. This concept is emphasised by Edgar Schein, from the Sloan Business School at MIT. He identifies three levels of organisational culture[ii]. He maintains that the true culture of an organisation resides at the level of basic assumptions rather than with any visible artefacts or stated values. In addition, he points out the importance of consistency or alignment of the three levels. In other words, if the basic assumptions in an organisation are at odds with the stated values or artefacts, this can lead to demotivation and cynicism. Summarising then, engineering is a creative activity and therefore requires an element of divergent or intuitive thinking, coupled with the more familiar convergent or logical approach. Engineering education prepares us well for convergent thinking, and less well for divergent thinking. As individuals we can become better problem solvers if we learn to incorporate some divergent thinking into our work flow. However, moving towards a creative organisational culture requires a shift in embedded beliefs and behaviours. This takes time, energy and commitment. In order to move towards being more creative, why not try some more divergent thinking, to complement your convergent thinking. This article first appeared in The Chemical Engineer on-line on 14th March 2018. This piece was originally published in The Chemical Engineer on 15th November 2017. Let’s take a look at how we might usefully apply our communication skills to the matter of feedback. Feedback -what is it? Let’s define it as, one person providing constructive observations, with the intent of helping another person to be better at what they do. This could be in the form of written comments, or face-to-face. What are the benefits? An increase in personal effectiveness brought about by feedback, clearly benefits the individual’s career prospects and their motivation, and this in turn benefits their organisation. 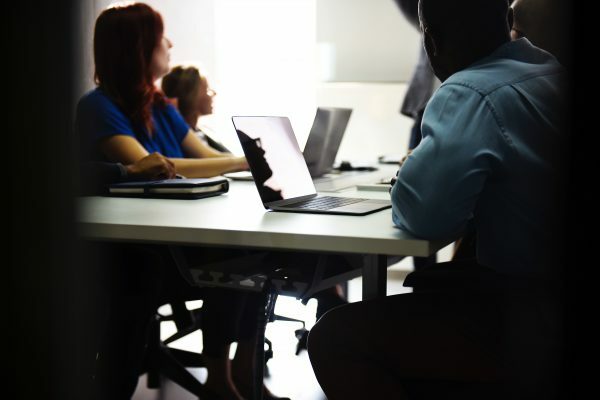 But if a culture of feedback prevails in the organisation, the positive effect is amplified to things like increased staff retention, closer collaboration, and higher levels of innovation. Why is feedback so difficult? Because we perceive the words “I’ve got some feedback for you” as a threat. We prepare ourselves to be challenged, our weaknesses exposed, our personalities criticised. This makes it difficult to receive feedback in a rational way, and can make us ultra-cautious about hurting people’s feelings when giving feedback. We end up saying something like “she’s a really nice person to work with”. This is a lovely thing to say, and will undoubtedly be true, but as feedback goes, it is useless. Why? Because a comment like that does not help the person get better at what they do. So, let’s have some top tips for giving and receiving feedback which diffuses the threat, and maximises the benefit. Base your feedback on observed behaviour, not personality. Make it specific. Basing your feedback on specific events or situations gives the person a clear idea of what to try to do differently. Avoid advice. First, you are not the expert on that person, so your advice is likely to be wrong. Secondly, advising people creates dependency. Next time they get stuck they will come back to you for more advice. This is not good for you or them. Make it supportive. Choose your words carefully to minimize threat. You want the person to know that you have their best interests at heart. Make it challenging. Give people something to work with. What might they do more of, what might they do differently? Have more positives than negatives. Psychologists claim that people perform better when there are more positives than negatives. Try to point out more of the things that you like and less of the things you didn’t like. Remember two stars and a wish…? Make it timely, but pick your moment. Don’t wait until weeks after the event before supplying your feedback, but equally, choose a moment when you both are relaxed. Do it informally. An informal chat in neutral surroundings will be less threatening than a formal session in your office. Offer it, don’t force it. Feedback is a gift. People may not want to receive it. Don’t be offended if they say no. Don’t wait for feedback, – ask for it. 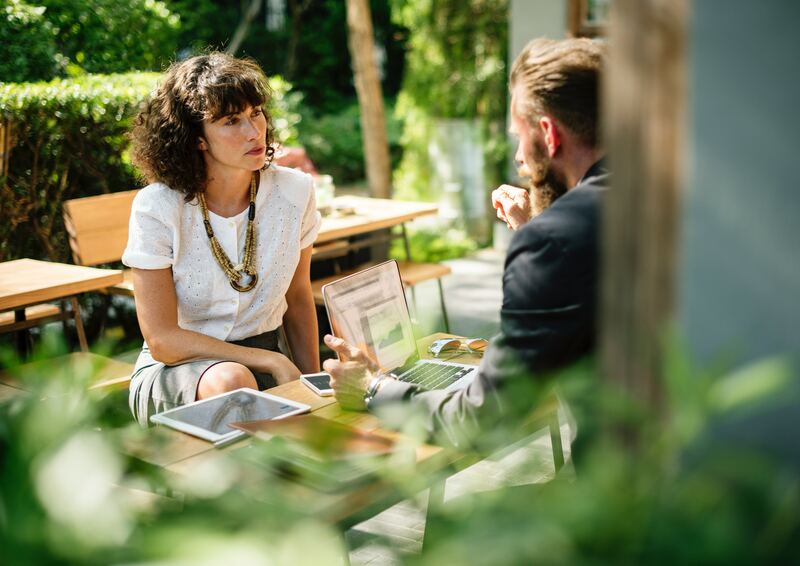 After you’ve chaired a meeting, met with a client, or run a training session, for example, just ask a colleague what went well, and what they thought you could have done differently. Receive it as a gift. Someone has gone to the trouble of packaging some observations with the intention of helping you get better at your job. Don’t dispute it. If you dispute the feedback you are rejecting the gift. Be gracious, just say thank you. Sometimes feedback does not seem to make sense. However, other people can see us more objectively than we can see ourselves, so it’s worth going away and having a think, – they might have a point. Finally, some thoughts about the difference between written feedback and face-to-face feedback. About the only good thing going for written feedback is the permanent record that it provides. However, written feedback is limited because we cannot see the other person in real-time. Face-to-face gives us more scope for higher value feedback because we can empathise using body language and listening. There is one more big advantage to face-to-face feedback. When two people sit down and share the gift of feedback, it raises the level of mutual trust. The increase in trust will enhance the quality of that professional relationship, leading to higher quality collaboration in the future. Now, if you have a culture of face-to-face feedback embedded in your organisation, the sky’s the limit. WELCOME to the first of a regular series of pieces focussing on professional skills for chemical engineers. To kick things off we will take a look at communication. According to Stephen Covey, author of the best-selling book 7 Habits of Highly Effective People, “communication is the most important skill in life.” Let’s test this statement. Is communication important? Without it we wouldn’t be able to interact with other people, so I guess that’s a yes. Is it a skill? Well, it’s something we can get better at, which aligns with what we understand as a skill. If Stephen Covey is right about communication being so important, we should be consciously and actively developing our communication skillset. In engineering, communication is how we get things done. To use a chemical reaction analogy, communication is often the rate-limiting step in the process. We convey complex technical concepts to others. This can be challenging, even when communicating with other chemical engineers. However, you may have noticed that scientists, and engineers from other disciplines speak a different technical language, making communication more challenging. Other professionals, such as legal or financial people may have a limited technical vocabulary and knowledge, increasing the challenge still further. The effectiveness of our communication becomes critical when dealing with process safety, hazards and loss prevention. Given these challenges, it a bit of a paradox that our engineering education hasn’t helped. Arts and social science students have had communication hard-wired into their education in the form of discussions, debates and seminars. Engineering students, on the other hand, have tended to work individually, focussing on convergence to the ‘right’ answer. Group work at university often leaves engineering students frustrated and puzzled because they are not well equipped to communicate their technical ideas. When I first started out as a fresh graduate chemical engineer, I focussed on the technical challenges. They were of most interest to me, and were the reason why I became a chemical engineer in the first place. I was unaware of my shortcomings as a communicator, and even worse, I mistakenly thought I was quite good at communicating. When conversations went wrong, it was never my fault; the other person was clearly a poor communicator! Of course, communicating technical things to non-technical people was just not possible because they wouldn’t get it. I can remember a nice young woman asking what I did, and keen to impress her, I spoke in that language known as techno-babble. She must have thought, “What a jerk!” Needless to say, I didn’t get a second chance to make a good impression. A few (several) years have passed since then, and experience has taught me that one of the largest gains to our professional effectiveness comes from improved communication skills, and the associated skills of team-working, leadership, creative problem solving and mentoring. Each of the above themes breaks down into more specific challenges. Let’s take meetings for example. Meetings can falter for many reasons; the wrong people in the room, control that is too strict or too loose, lack of focus, etc. If people are distracted by their mobile devices during meetings, then the meeting is likely to become inefficient and frustrating. Challenging situations like these can be overcome by a bit of insight, and an opportunity to apply and review various techniques and approaches. Hopefully I have got you thinking about your own communication skills. Can you identify specific, communication-related, rate-limiting steps to getting things done? What sort of catalyst might you need in order to help the process along? Here’s a short presentation I’ve put together on the challenges of communication for technical people. Enjoy!